608 Woodland Village #608, Homewood, AL.| MLS# 841474 | Richard Jacks UABLIVING.com 205-910-2297 | Birmingham AL Real Estate | Contact us to request more information about our Homes for Sale in the Birmingham AL area. MUST SEE! 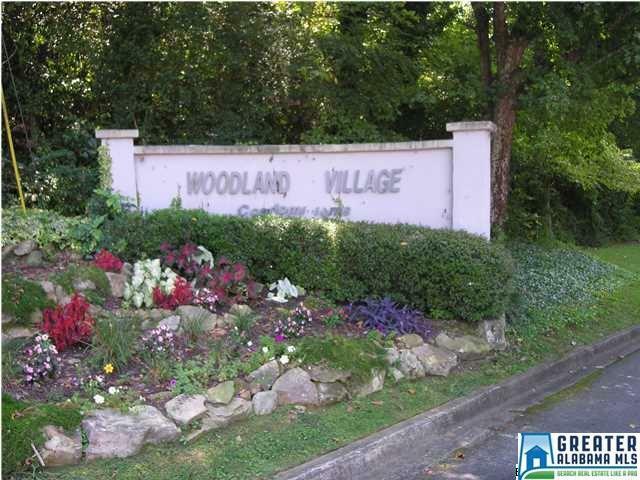 This 2 Bedroom, 2 Bath condo features a custom built gas log fireplace! Updated ceiling fans and light fixtures in living room & Dining room. Beautiful parquet floors in the living areas. The kitchen has a lot of cabinets as well as a pantry. The large master bedroom features a Huge walk-in closet and nice bath. Closets have been updated with storage systems. Washer and Dryer. The condo fee includes water, gas (for heat and hot water), outside maintenance, and common area insurance. Great location for UAB, Samford, or Cumberland Law School students. This cannot be beat for the space and convenient location.